The PlugShare app will show you where to charge and how much charging will cost. Last spring I got to take the 2017 Chevy Bolt EV for a short drive around downtown during the Dallas Auto Show, and in June, I drove a Bolt EV around a short course in the infield of the Texas Motor Speedway. But those drives were just a brief taste of what the Bolt EV has to offer. I've been driving the 2017 Bolt EV for the last week, and I'm really struck by how close we are to making electric vehicles a viable option for more drivers. 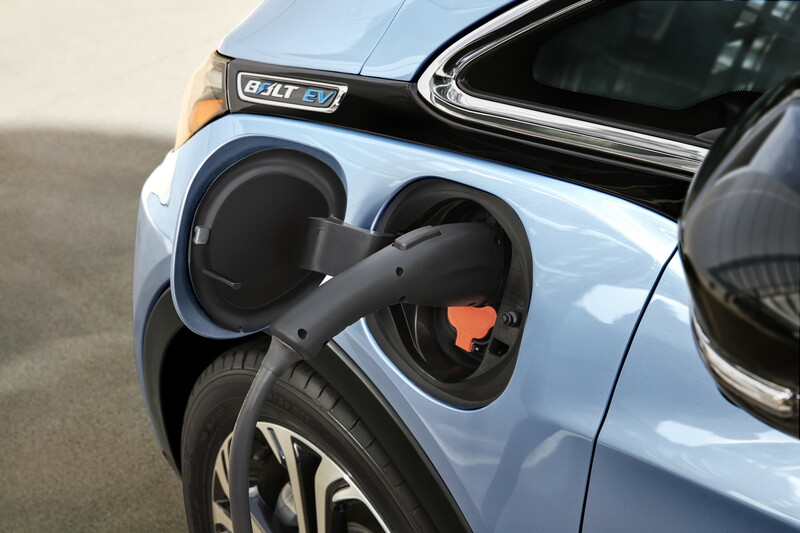 I was hesitant to accept Chevrolet's offer of spending a week with the Bolt EV, as my house doesn't have an outdoor outlet near the driveway, so I would be unable to charge the car at home. But then I thought it would be a great opportunity to figure out whether owning an electric vehicle would be a viable option for people who don't have easy access to a charger where they live. What about people who live in apartments or rent their homes? Installing a dedicated charging station in a garage or driveway is certainly the easiest way to charge an EV, but just how big of a pain in the neck would it without one? The 2017 Chevrolet Bolt EV Premier is a small wagon with comfortable seating for four adults. It's powered by a 60 kWh lithium ion battery that spans the entire floor of the car. The engine provides 200 horsepower and 266 pound-feet of torque. It takes less than seven seconds to go from 0 to 60 mph. In fact, there's a button to invoke Sport mode, and it makes the Bolt EV pretty speedy. 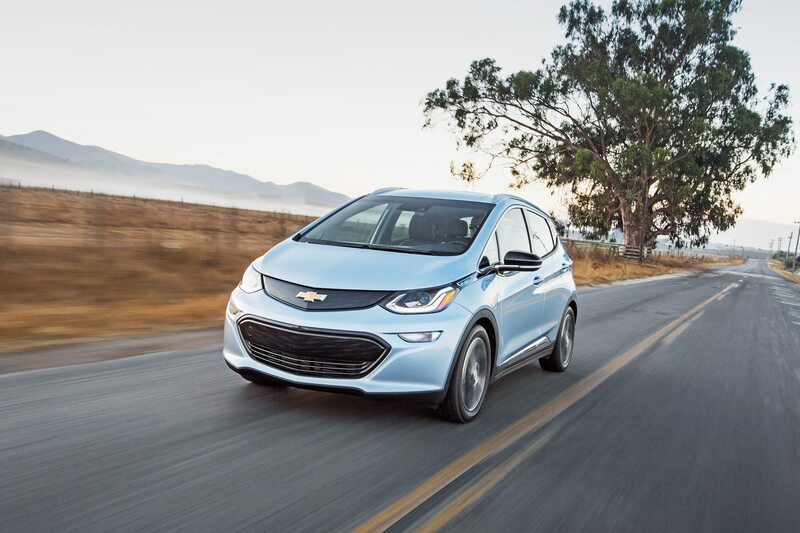 The Bolt EV has Chevrolet's first electronic precision shift system that uses electronic signals to shift gears. Inside, the center stack is dominated by 10.2-inch color touch screen that controls the electronic system and has some controls for climate control and charging preferences. The Bolt EV has Bluetooth and a built-in Wi-Fi hot spot. If you plug your iPhone into the front USB charging ports, you can use Apple Car Play, which lets you use the big screen for iPhone apps like Maps and Apple Music. Android Auto is also available if you have an Android phone. The audio system has SiriusXM and OnStar. Phone calls were easy to place and answer, and the call quality is good. The instrument panel behind the steering wheel is also a large 8-inch LCD screen that can be customized from several templates. There are four cameras — front, back and on each side mirror. The images of all four cameras are stitched together to form an overhead view of the Bolt called SurroundVision that shows up on the big screen when you are backing up. There is also an LCD screen built into the rearview mirror. When you flip a switch on the bottom of the mirror, a small screen turns on to display the backup camera. This is a great innovation, and I wish every car had one. The Bolt EV is a tight little car that drives like a luxury car. It's smooth and almost completely silent. The acceleration is very responsive. In sport mode, you can certainly spin the front tires even if you stomp on it from 20 mph. There is no problem with get up and go. You won't be looking over your shoulder when merging onto the freeway. I was always aware that I was driving an EV, but that's because there are so many battery level indicators — they glow green when you're driving smartly, and yellow or red when you need to drive a little slower. The car has regenerative braking that puts power back into the battery when you are slowing down. The regeneration is best used in low gear in a mode called "one-pedal driving." The accelerator is the only pedal you need, as the car comes to a stop when you let off the pedal. It only took about five minutes to learn the technique. I kept the Bolt EV in low gear the entire week. I loved the fact you could turn on the Bolt from an app on your smartphone. This is great for starting the air conditioner a few minutes before you get into the car on summer days. The Bolt EV comes standard with a 7.2 kW on-board charger for regular overnight charging from a 240-V wall outlet that can fully charge the car's batteries in 9.3 hours. It can recharge the typical 50-mile commute in just two hours. My car also had a 120-V wall charger that you can plug into any regular outlet, but it only adds four miles of charge per hour. Optionally, you can equip the Bolt EV with DC Fast Charging that can add 90 miles of range in just 30 minutes. It's the DC fast charging that I used at my local Walgreens. There are a couple of different charging networks you can subscribe to with chargers in most parts of North Texas. The Bolt EV ships with a ChargePoint card for one of the large networks. The DC charger I used costs $9.99 for 30 minutes of fast charging. I plugged in with 64 miles of range left on the batteries, and when my 30 minutes were up, the range meter showed 150 miles. I decided to keep going and started the charger again and left with a full battery showing a range of 230 miles. This range is on par with my Honda Fit. It has a 10.6-gallon tank and gets about 250 miles on a tank of gas around town. I usually drive 30 to 40 miles per day around town, so the 230-mile battery range means I'd only have to charge the Bolt EV about once a week. Of course having a plug at home is even better. I love the idea of leaving the house each day with a full battery pack. During the week, I was very aware of where I could charge the Bolt. I had dinner one night in Deep Ellum, and the restaurant (The Free Man) had a charger in the parking lot. I know there are also charging stations at offices all over Dallas-Fort Worth. I used smartphone apps called PlugShare and ChargePoint to find chargers. My advice to apartment dwellers is to not be afraid of buying an electric car. You'll have to find a convenient place to charge, but you can do some research and find a charger that's close to shopping or a restaurant and charge while you buy groceries or eat dinner. It's certainly not as convenient as spending five minutes at a gas station, but it's doable. This isn't meant to be a road trip car. It's a city driver. You can drive to Houston or Austin, but you'll be looking for a charger and spending at least 30 to 60 minutes charging before you get to your destination. The Bolt EV Premier has a sticker price of $40,905. My car came equipped with extras including DC Fast Charging ($750) and the Driver Confidence II Package ($495), which includes features like forward collision alert, lane keep assist with lane departure warning and automatic braking with pedestrian detection. It also had the Infotainment Package ($485) with wireless device charging, a six-speaker Bose audio system and rear USB charging ports. The full sticker price is $43,510, but there is a tax incentive of up to $7,500 that brings the price down considerably. The lower-priced and lesser-equipped Bolt EV LT has a sticker price starting at just over $36,000, meaning the tax incentives will bring it down to right around $30,000. Pros: Drives great, nice range, comfortable. Cons: Fast chargers can be hard to find, especially outside of big cities. Bottom line: The Bolt EV is a pretty great car for use around town, especially if you have easy access to a fast charger.